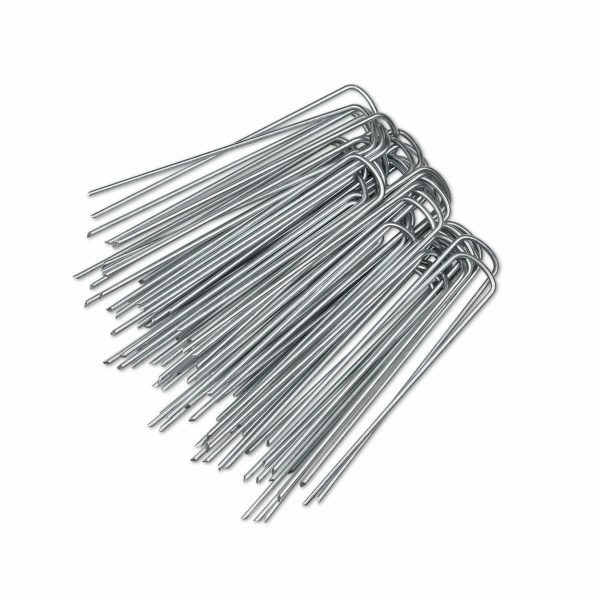 U-Pins are ideal for securing the edges of your artificial grass in soft ground. Can also be used to fix down weed membrane and foam underlay. Each pack includes 50 pins. U-Pins are ideal for securing the perimeter of your artificial grass in soft ground. These galvanised U-shaped pins are installed with a mallet or hammer and their unique shape means they sit at the bottom of the pile making them invisible. They can also be used to pin down weed membrane and foam underlay.